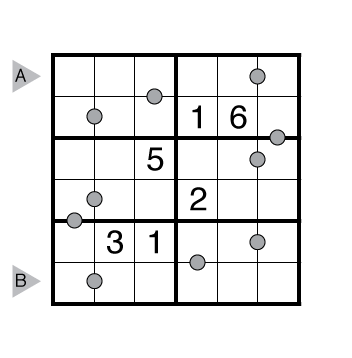 Author/Opus: This is the 32nd puzzle from our contributing puzzlemaster Tom Collyer. Author/Opus: This is the 31st puzzle from our contributing puzzlemaster Tom Collyer. 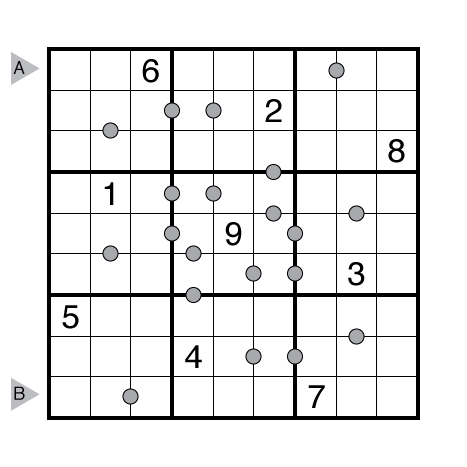 Author/Opus: This is the 30th puzzle from our contributing puzzlemaster Tom Collyer. 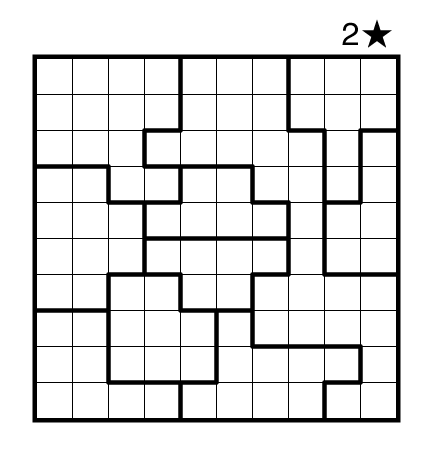 Author/Opus: This is the 29th puzzle from our contributing puzzlemaster Tom Collyer. Note: Follow this link for other classic Skyscrapers. If you are new to this puzzle type, here are our easiest Skyscrapers to get started on. 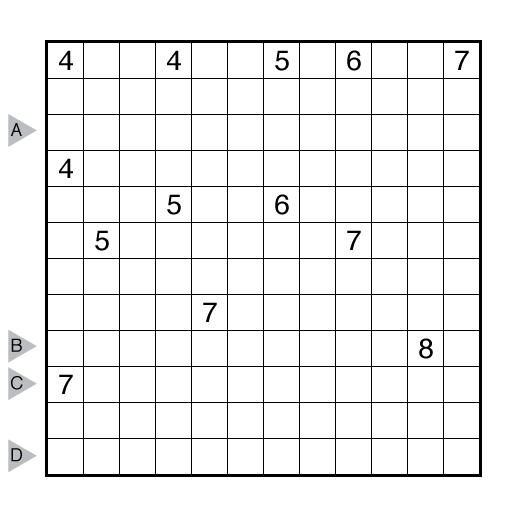 Author/Opus: This is the 28th puzzle from our contributing puzzlemaster Tom Collyer. 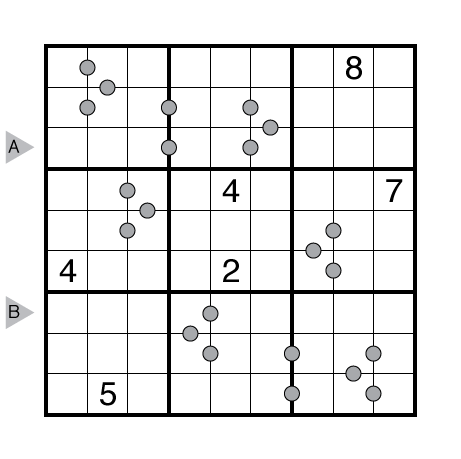 Author/Opus: This is the 27th puzzle from our contributing puzzlemaster Tom Collyer. 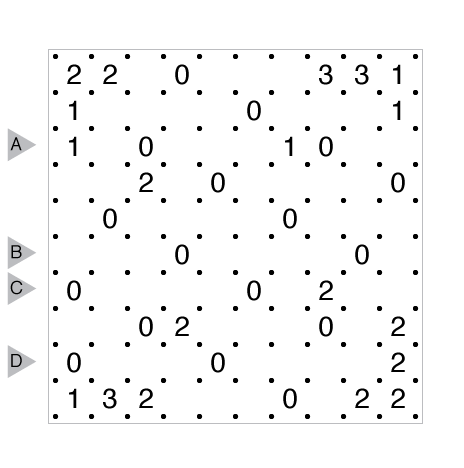 Answer String: Enter the length in cells of each of the black segments (the unnumbered, connected “ocean”) from left to right for the marked rows, starting at the top. Separate each row’s entry from the next with a comma. Note: Follow this link for other classic Nurikabe. 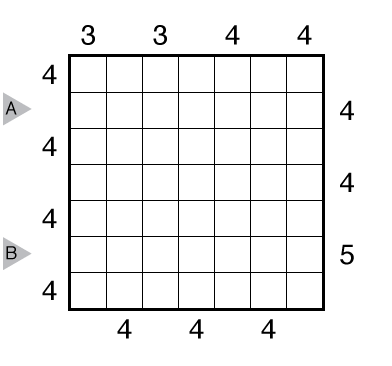 If you are new to this puzzle type, here are our easiest Nurikabes to get started on.